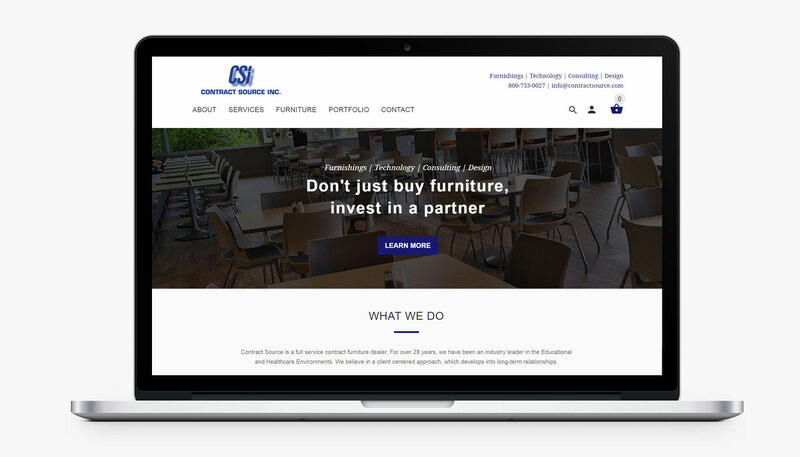 Ecommerce website design for full service contract furniture dealer. 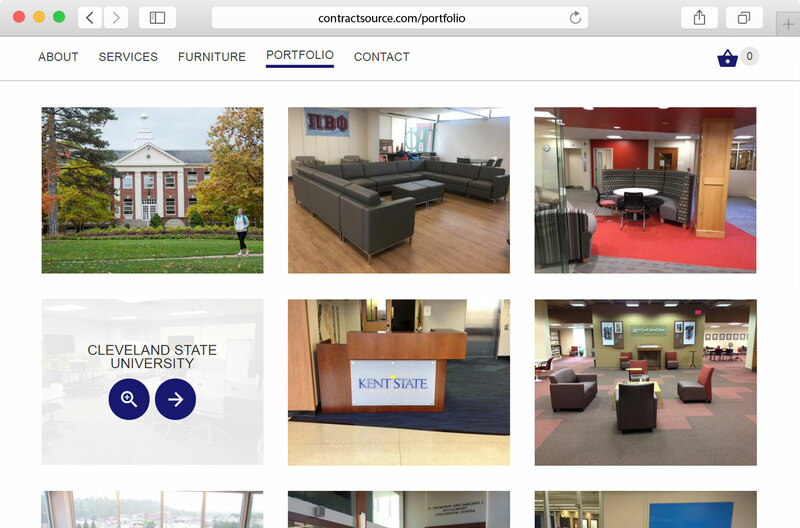 Contract Source Inc. is a provider of turnkey interior design services and furnishings for educational institutions. 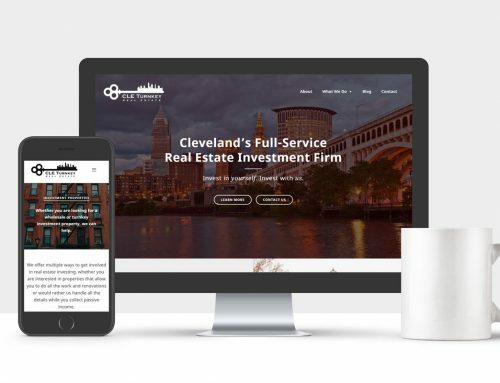 Their goals for their website redesign were to display updated content and enhance usability as well as improve communication and lead generation through their website. They also wanted to add ecommerce tools to allow them to sell products from their manufacturers online. 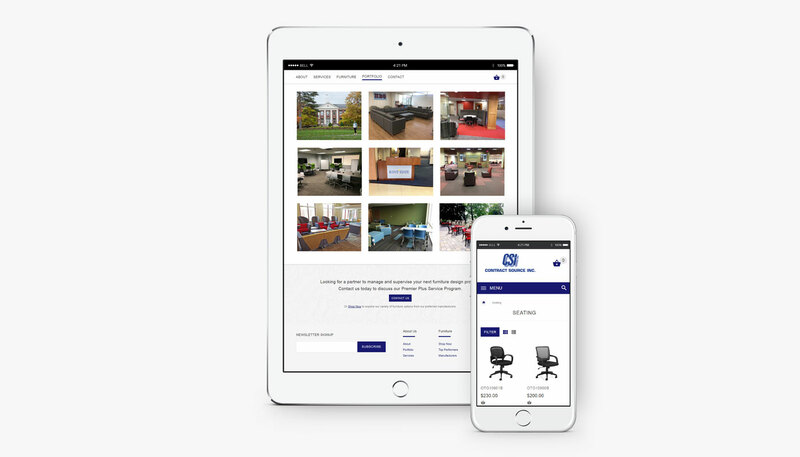 I collaborated with the Contract Source team to reorganize the content of their website with a focus on enhancing usability. 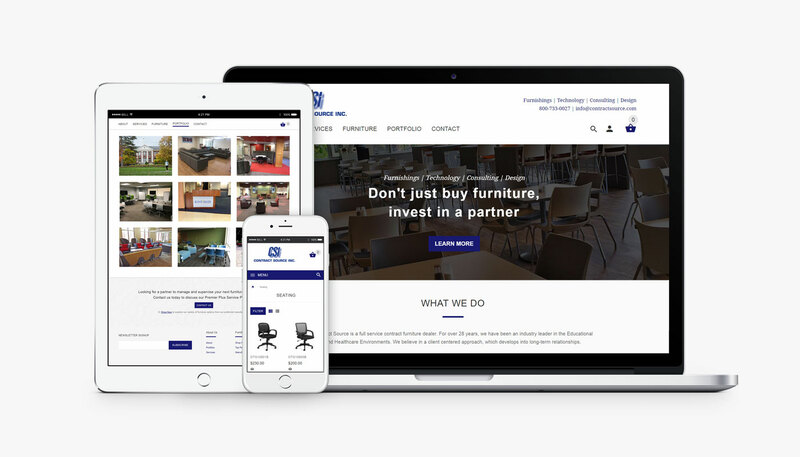 Their new website was developed to work with the Shopify ecommerce platform which provided them an easy and intuitive interface for product management and online sales. 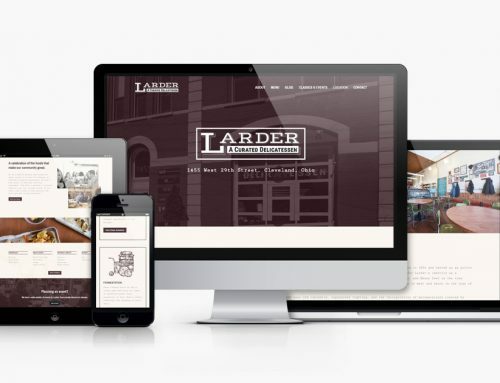 A new contact form, Mailchimp signup form and online chat feature were also provided for improving leader generation and communication with customers.